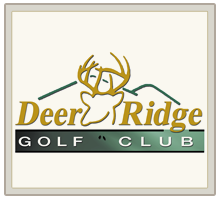 Please join us for great food, prizes, and self-guided tours, and networking at Deer Ridge Golf Club & The Black Dog Tavern! Admission is free if you reserve your spot by Monday, April 15. Is this your first Business After Hours? Join us for a "New Member Mixer" a half hour before the event starts, hosted by the Chamber Ambassadors. Free for members in good standing if RSVP is received by the end of business on April 15 ($5.00 if registration is received after this date). Non-members are welcome to attend at $5.00/person.